With E3 2015 rapidly approaching, we take a look at how Microsoft’s press conference from last year’s E3 fairs one year later. Microsoft came in to E3 2014 after a successful launch of the Xbox One, but Sony had pulled ahead to a big lead in terms of sales around the world throughout the first year of their existence. They managed to overcome a number of bad decisions and mishandled PR from its initial announcement up to the launch as Phil Spencer managed to right the Xbox ship after Don Mattrick put it in danger of crashing hard before leaving for Zynga. They decided to drop the focus on media of all kinds and instead bring the scope of their plans to just the games that butters the Xbox’s bread. With this series of Hindsight articles, I will take a look at each of the major press conferences from E3 2014 and examine the announcements, promises, and even some other notable parts of each show to see how each company’s presentation turned out one year later. 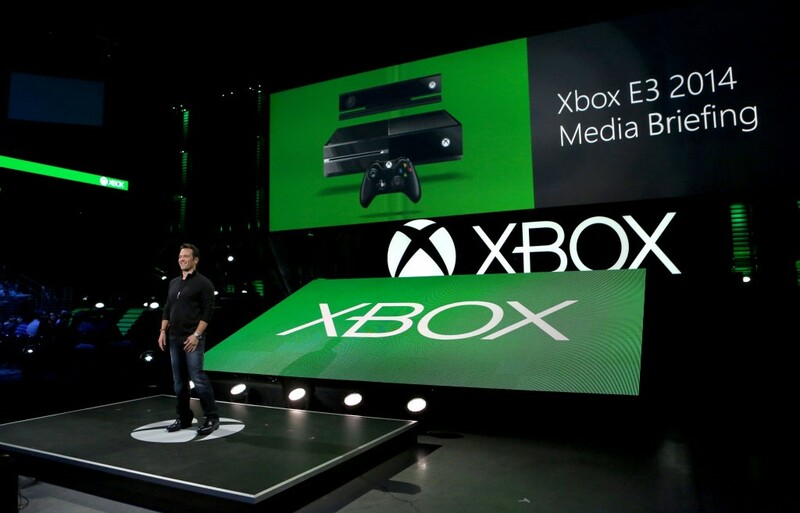 Today, we start with Microsoft’s E3 2014 press conference, which took place on June 9, 2014 at 9:30 AM PT/12:30 PM ET. Show Focuses Exclusively on Games – False. Halo Nightfall was announced for Halo: The Master Chief Collection, which is a live action show set in the Halo universe. Call of Duty: Advanced Warfare “New DLC First on Xbox” – True. Each map pack is released on PC and PlayStation platforms 30 days after Xbox platforms. Halo 5 Guardians Beta Out December 2014 – True, it released right at the end of the month and didn’t even require buying the Halo: The Master Chief Collection to get in. Evolve’s Exclusive Xbox One Beta – False. The Big Alpha launched 24 hours early for Xbox One before opening for PS4 and PC players one day later. It wasn’t that exclusive. Dragon Age: Inquisition “Premiere Content First on Xbox” – False. This only applies to Xbox One, as Xbox 360 surprisingly suffers delayed DLC alongside PS3 and PS4. Fable Legends “Only on Xbox” – False. Legends was announced for PC earlier this year during a big Windows 10 event held by Microsoft. Ori and the Blind Forest “Only on Xbox One” – True, so far. It just released earlier this year, so who knows if it could hit PC at some point in the Windows 10 future. Everything Shown up to and including the Halo: The Master Chief Collection segment is out by Holiday 2014 – False. Evolve, Fable Legends, and Ori and the Blind Forest were pushed to 2015 with Fable Legends still in development. Great games featured during the show. From Sunset Overdrive to The Witcher 3: Wild Hunt to Forza Horizon 2, there are quite a few games that were shown that turned out great and were obviously worthy of being featured during the show. Not everything shown was perfect, but that is typical of talking about this many games well before launch. Largely free of non-gaming content. After the terrible reaction to the TV-heavy announcement event and subsequent promotion of Phil Spencer to the head of Xbox, Microsoft has made the smart decisions to focus more on their ability to create and facilitate the creation of games on their system. ID@Xbox’s Parity Clause. The ID@Xbox segment had a mention that many of the games shown were launching first on Xbox One, which has its problems with developers that want to release their game on any platform when they’re done with them. Microsoft continues to push the parity clause to this day despite letting most devs through if they “talk” to the ID@Xbox team first unlike the other self-publishing initiatives on the other platforms. Trailers Misrepresenting Games. You may have heard of the cancellation of the Phantom Dust remake, the team that was working on it has come out to say that the trailer shown at E3 was done without the developer’s knowledge and input and that it was not representative of the game that they were making on a modest budget. We probably won’t ever hear Microsoft’s side of the story outside of canned PR responses, but this is obviously an issue everyone worries about with any trailer shown at E3 and elsewhere. Kinect. Despite being the focus of the system when it was first shown in 2013, the improved iteration of Microsoft’s motion and voice control camera was dropped from the main system SKUs and they’ve never looked back. The releases have been few and far between since launch with only four of the games featured in this press conference having Kinect support and that’s likely to more than we will this year. Broken Games. Microsoft had the unfortunate luck to feature two games in the trifecta of broken games from the Holiday 2014 season with Sony’s Driveclub being the third part of trio of disappointment. While Assassin’s Creed Unity seems to be largely fine at this point, I still see Halo fans griping that there are still a myriad of issues with Halo: The Master Chief Collection that seem to be causing some to reconsider their Halo 5 Guardians hype, despite 343 Industries not being the sole developer and causes of the issues. But, they were made the face of the highly anticipated collection by Microsoft and have to suffer for it. Microsoft’s 2014 E3 press conference was a solid show mired by the huge black eye that is Halo: The Master Chief Collection and Microsoft’s most interesting titles (Crackdown, Scalebound, and Inside) being labeled under “2015 and Beyond” was a bit of a downer. Phil Spencer has obviously been a good influence as a leader of the Xbox team and its developers, so we got our first taste of his plan to bring the focus back to the games and we hope to see how it has progressed with this year’s show. Stay tuned for our preview of Microsoft’s E3 2015 press conference next week and keep an eye out for the next few days as we reflect on the rest of the E3 2014 press conferences for the next four days.